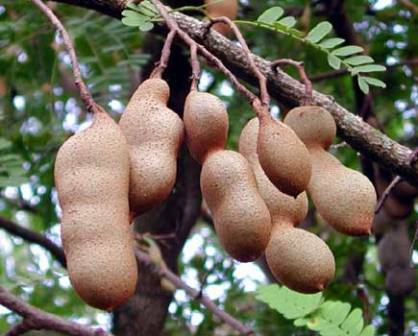 Tamarind (Tamarindus indica) is an import tree of semi-arid tropical conditions. Every part of the plant is used for different purposes. The fruit pulp sweetish/acidic in taste, is used for serving curries, chutneys, sauces and soups. Pulp is a carminative and laxative given as infusion in biliousness and febrile conditions. Because of its anti-scorbatic properties, pulp is used by sailers in place of lime or lemon juice. Tamarind kernel powder (TKP) is used as a sizing material in textile and leather industry. The polysaccharide, jellose, in TKP forms jells with sugar concentrates and is an excellent substitute for fruit pectin. Seeds are used as a source of carbohydrates for paper and jute products. Seeds yield fatty oil which is used in paints and varnishes. Wood is used for making agricultural implements, tool handles, wheels, mallets and rice pounders. Tender leaves, flowers and young seedlings are eaten as a vegetable. 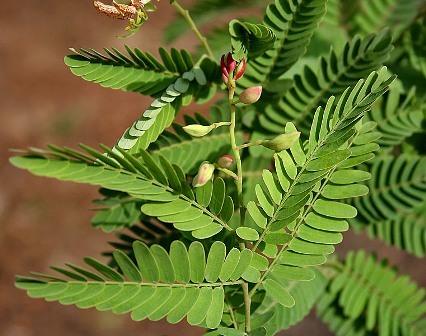 In India, it is grown in Bihar, Orissa, parts of Maharashtra and Tamil Nadu. It extends northwards to the sub-Himalayan tract. 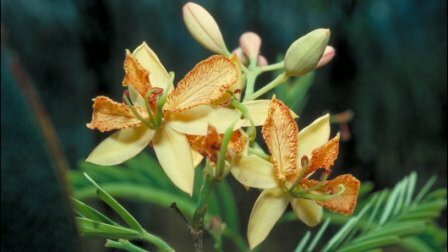 The tree is well-adapted to semi-arid tropical regions, but it can be grown in heavy rainfall areas too, if drainage is provided. It is grown in areas where the temperatures reach 46 C (maximum) and 0 C (minimum) and the average rainfall being 500-1,500 mm. The optimum elevation of tamarind cultivation is 1,000 m above mean sea-level. It is grown on gravelly to deep alluvial soils. It thrives best on deep loamy or alluvial soils. It can tolerate slightly saline and alkaline soils. This crop is also adaptable to poor soils. A clonal selection from the gene bank, it is early variety yielding 263 kg pods/tree with a pulp content of 39 %. It can give 26 tonnes of pods/ha if transplanted at a spacing of 10 m x 10 m .
This is another local type providing very long having sweet pulp. 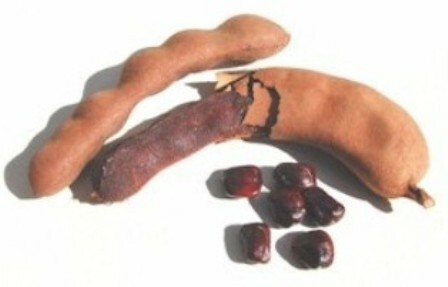 Tamarind is propagated by seeds, grafts and buddlings. Seeds are sown in lines 20-25 cm apart. They germinate in a week. Seedling should be irrigated if necessary at regular intervals. About 3-4 months old seedlings are transplanted in the main field. Seedlings can also be raised in polythene bags. But true-to-type plants cannot be produced by seed propagation. For true-to-type plant grafts and buddlings are used. Approach grafting is commonly followed in Tamil Nadu. Patch budding is also quite successful. 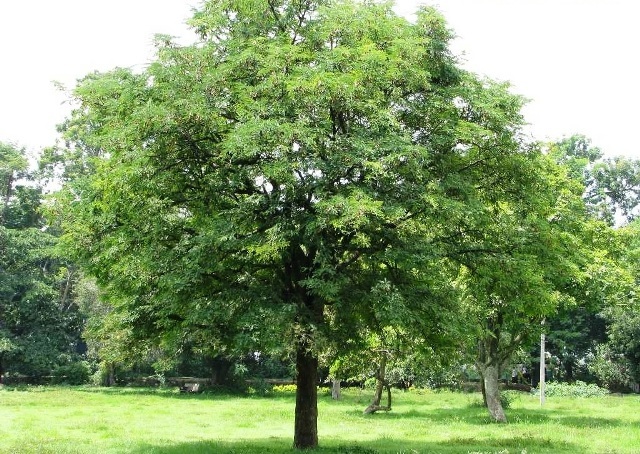 Softwood grafting is successful in tamarind using 6-12 month old rootstocks. Planting is done during June-November. Pits of 1m x 1m x 1m size are dug at a spacing of 10m x 10m. Farmyard manure @ 15 kg/pit is incorporated with top soil before taking up planting. Regular watering should be given if necessary till the plants establish. Seedling plants start yielding in 8-10 years, whereas grafts and buddlings in 4-5 years after planting. Harvesting is done during January-April in India. The average yield is 26 tonnes of pods/ha.